9:30 & 11:00 a.m. – Easter Cantata Upon This Rock – The Passion, the Question, the Call. Using Peter as the narrator and the dramatic focal point, Upon This Rock depicts the events of Holy Week. 4:00 p.m. – Volunteers will be going to downtown Orlando to help serve food at the Orlando Union Rescue Mission. Head out into the community and perform Intentional Acts of Kindness. Buy a stranger a cup of coffee, write a note of gratitude, bake a cake for a neighbor, encourage a friend, pick up litter, hold the door for someone, leave a thank you note, give someone a flower, donate blood, leave change in a vending machine. Click HERE for more ideas on acts of kindness. 6:30 p.m. – We will be assembling Blessing Bags for the homeless. Click HERE for the list of items we are collecting and drop them off in the church office. Dinner will be at 5:30 p.m. and provided by Chick-Fil-A (thank you Larry & Vicki Smith!). Meals will be $5 each. ALL PROCEEDS will be donated to Missions to off-set the cost of the Blessing Bags. Join us to help assemble the bags in Fellowship Hall after dinner and a brief prayer/service. 11:30 a.m. – Our Children’s Ministry and Daughters of Eve Circle are hosting an Easter Egg Hunt at Orange County Academy, as one of our Core Missions. They are looking for donations of ready-to-serve food dishes. Check out the Signup Genius located HERE. Please deliver any food to OCA by 11:30 a.m. on April 18th. 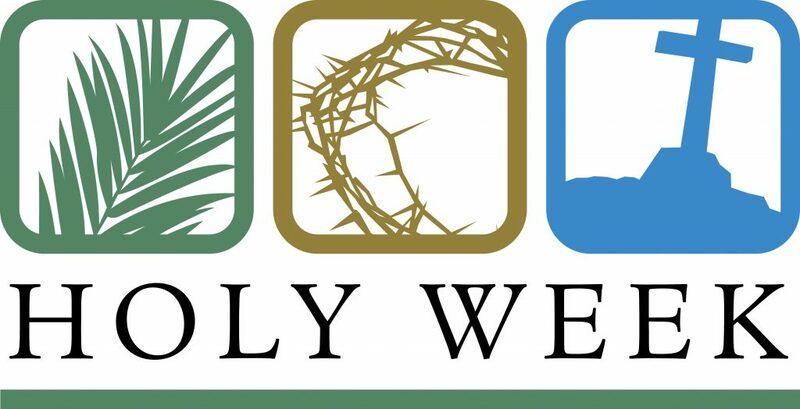 As part of our Attentiveness Toward God Lenten Series we will be reaching out to the Orlando Union Rescue Mission and their Easter Banquet and Foot Washing event. 9:00 a.m. – Noon – the Historic Sanctuary will be open to the public for prayer. Flowering the Cross – This is a reminder to bring a flower on Easter Sunday for the flower cross that will be displayed in the Sanctuary. We would love for you to be a part of this wonderful tradition that beautifully demonstrates the Risen Christ. April 19, 2019 6:30 p.m.
April 28, 2019 3:00 p.m.
May 5, 2019 11:00 a.m.